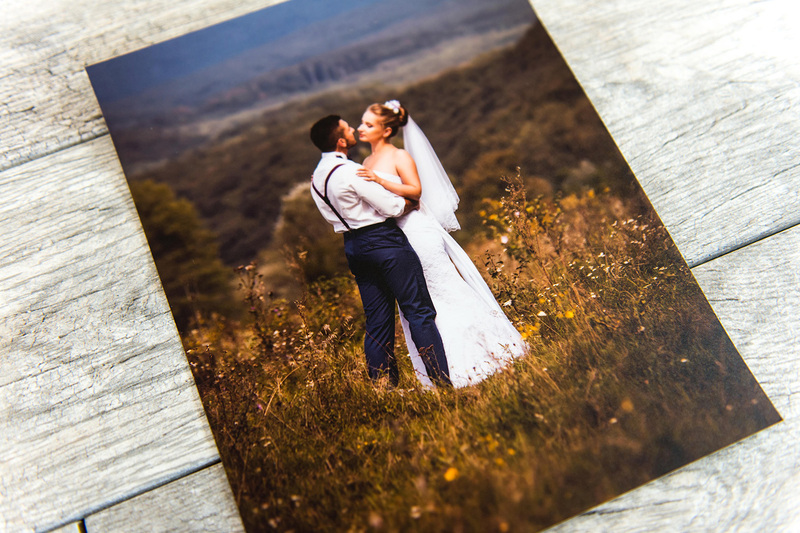 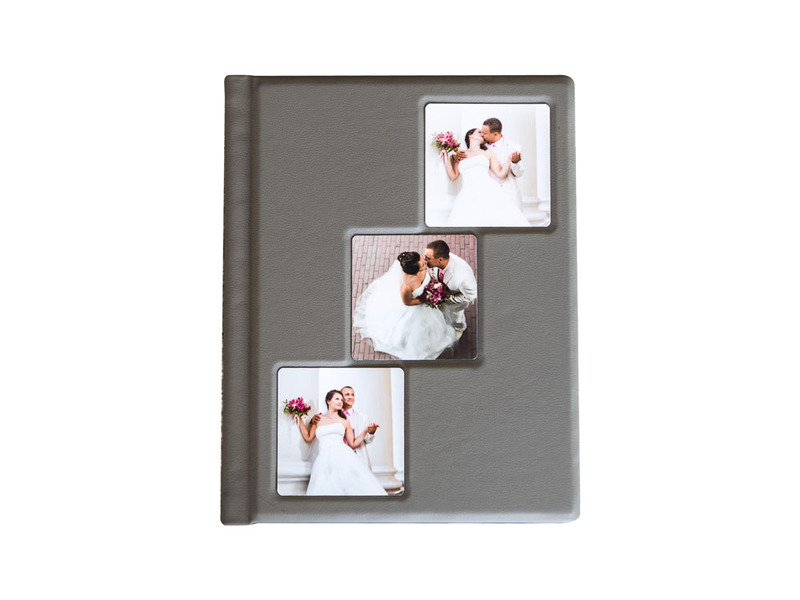 Our professional flush mount albums and wedding books are designed to enhance and compliment the beautiful photos from your most memorable occasions. 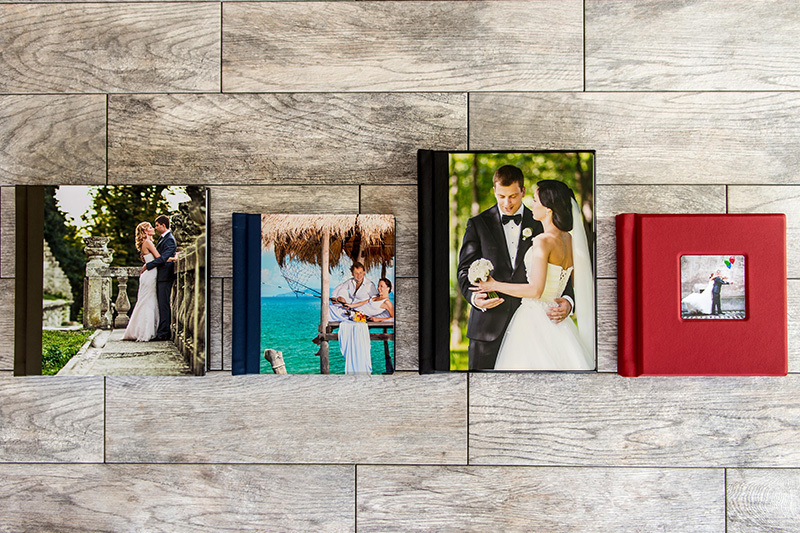 They are designed, professionally color corrected, printed, and bound by our in-house artisans. 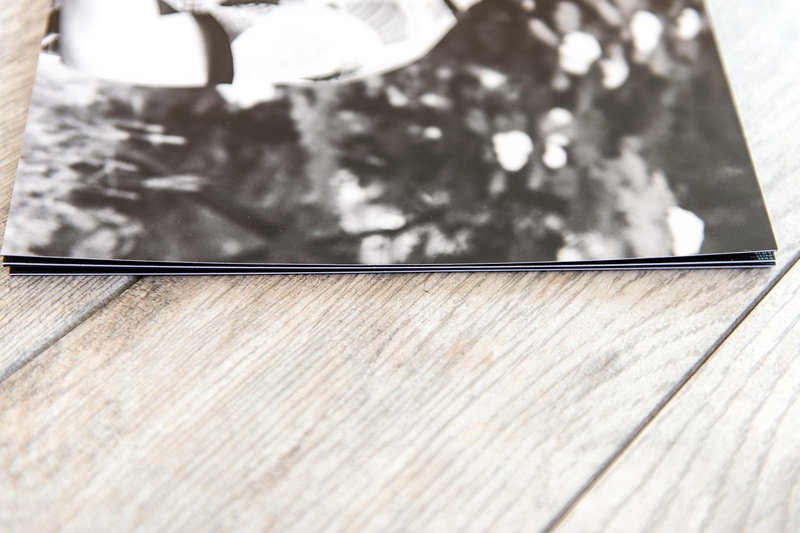 This allows us to have full control over the album creation process and ensures all of our albums measure up to the highest levels of quality and craftsmanship. 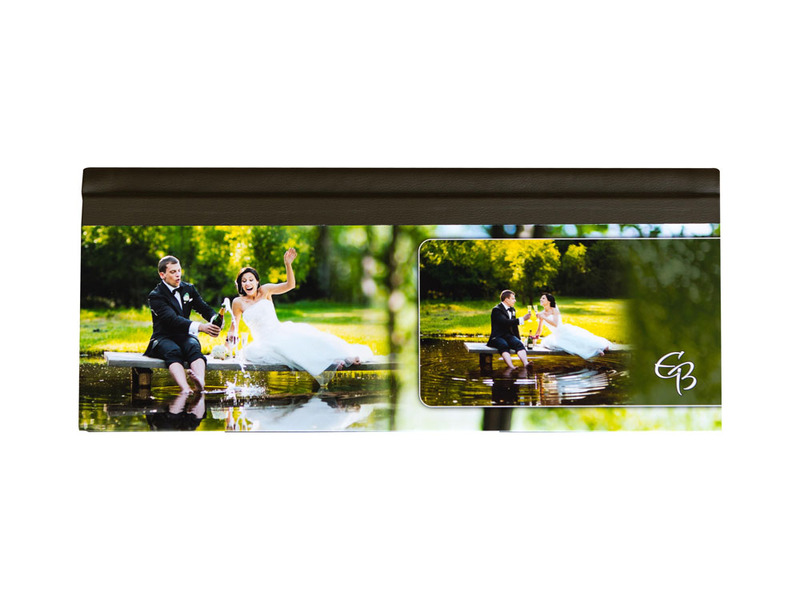 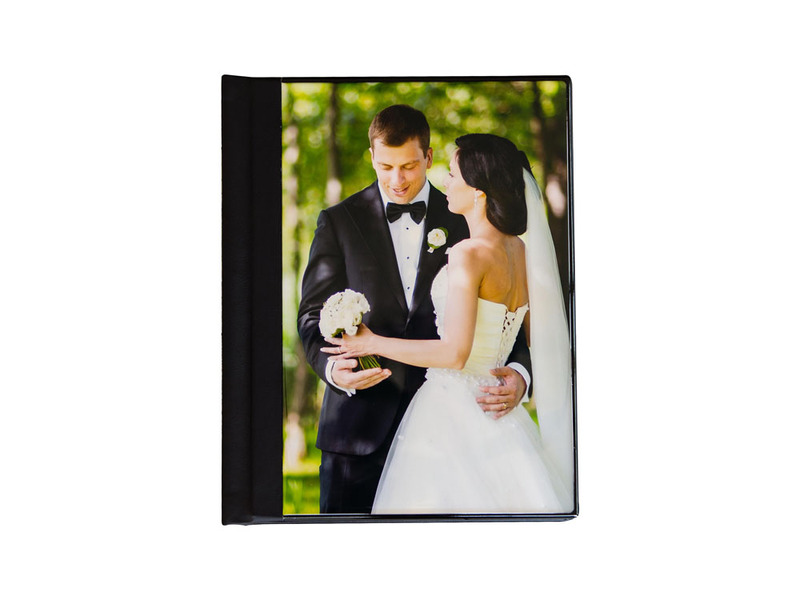 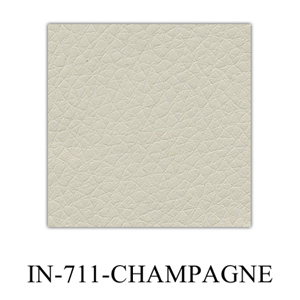 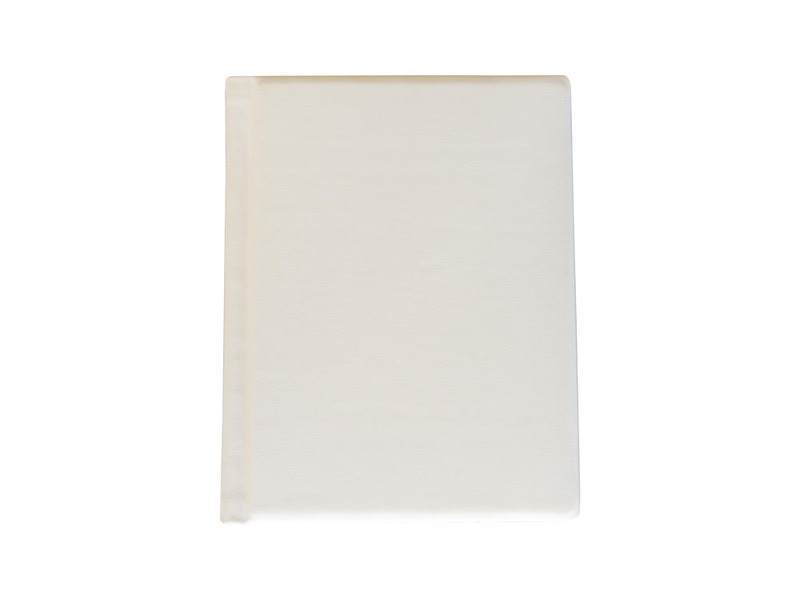 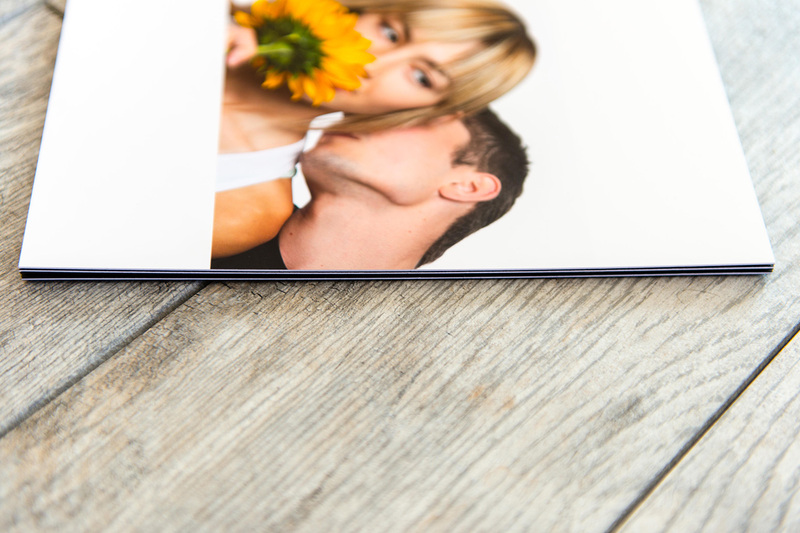 Our flush mount albums feature seamless panoramic spreads that are flush mounted to sturdy white boards. 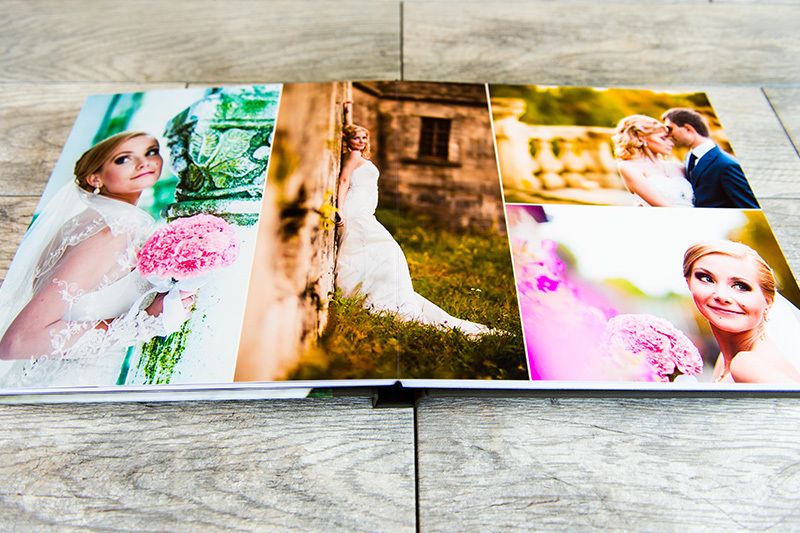 Choose from 15 spreads (30 pages) up to 35 spreads (70 pages). 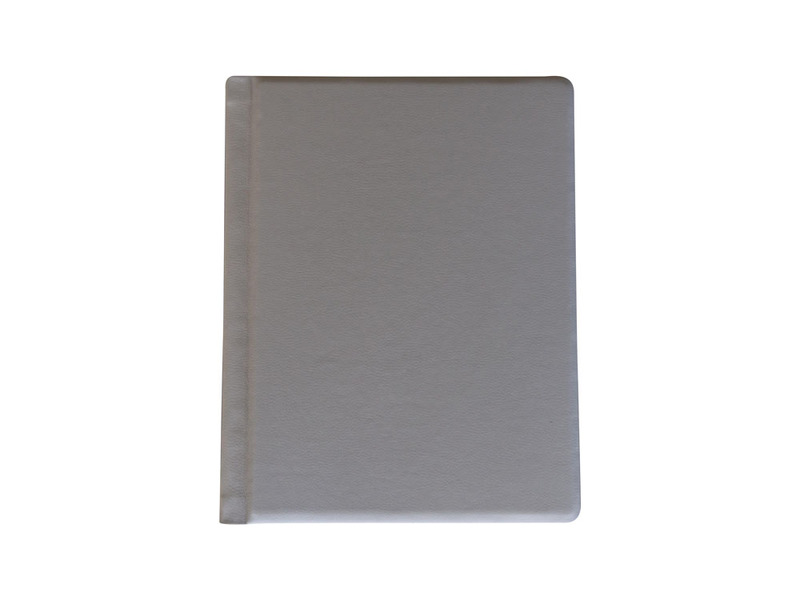 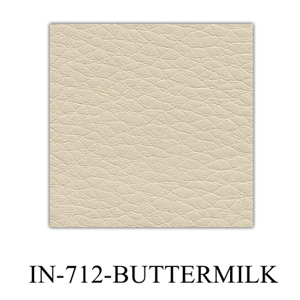 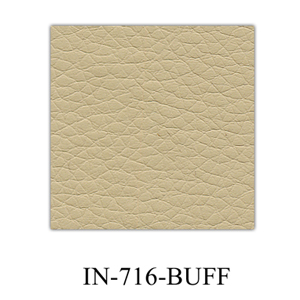 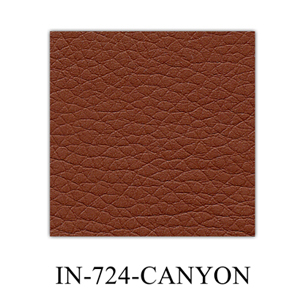 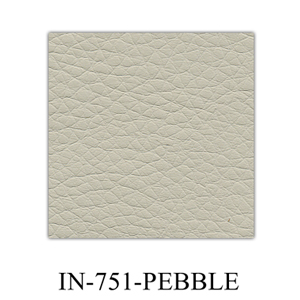 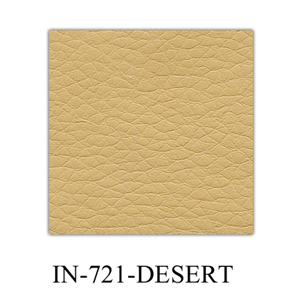 We offer a variety of sizes, cover styles, and finishing options. 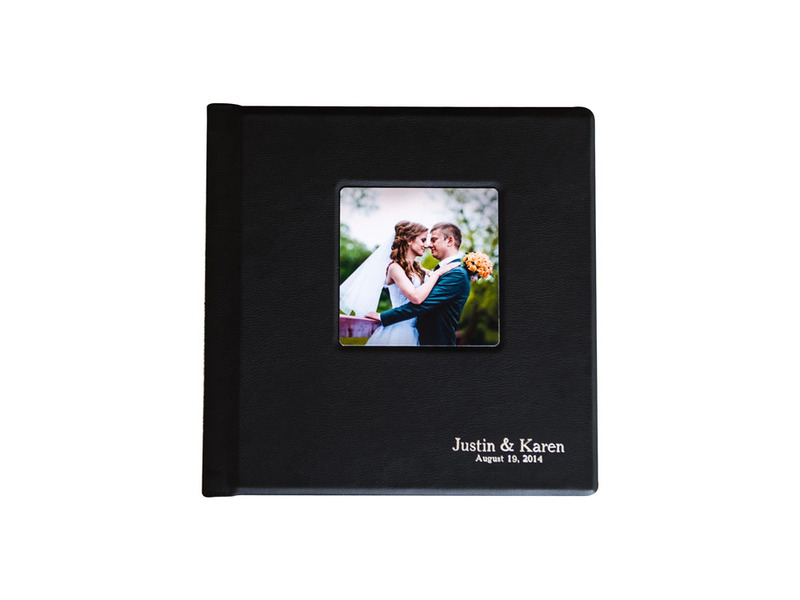 Album packages include our signature leather gift box to enhance the presentation of your flush mount album. 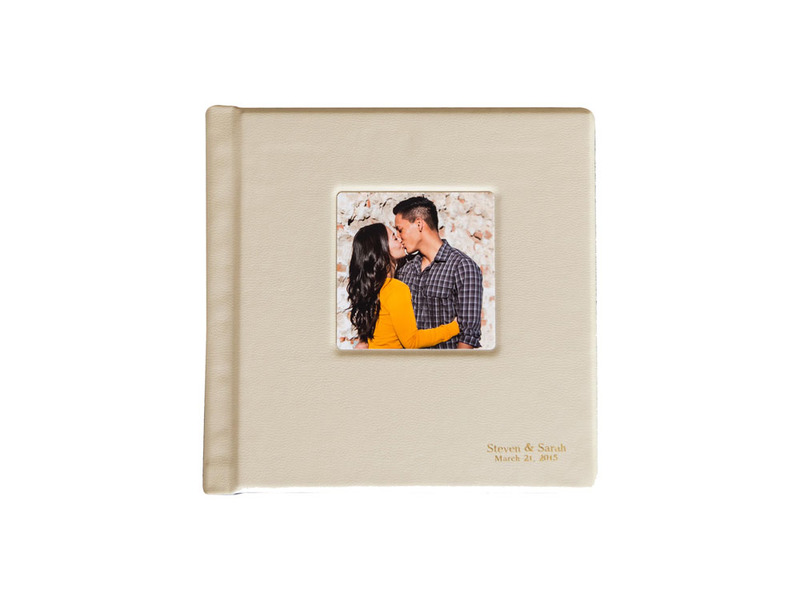 Our handmade album covers are customizable for your unique needs. 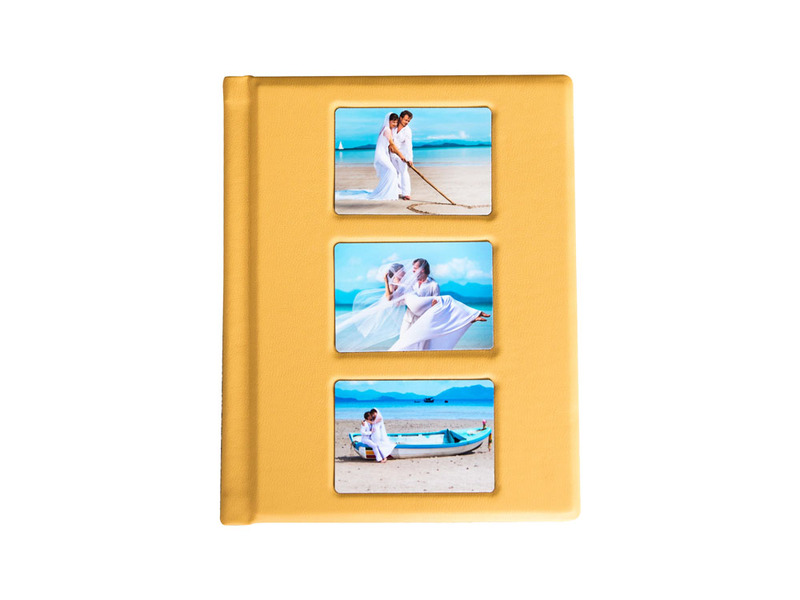 Choose from a variety of leather covers with custom cameos, photo wrap covers, or acrylic covers. 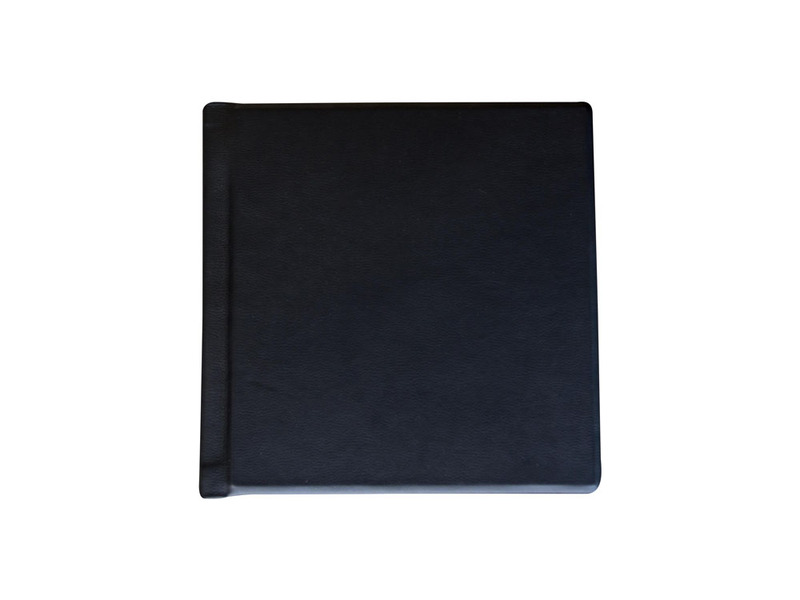 Add custom stamping to your leather cover to give your album a personalized touch. 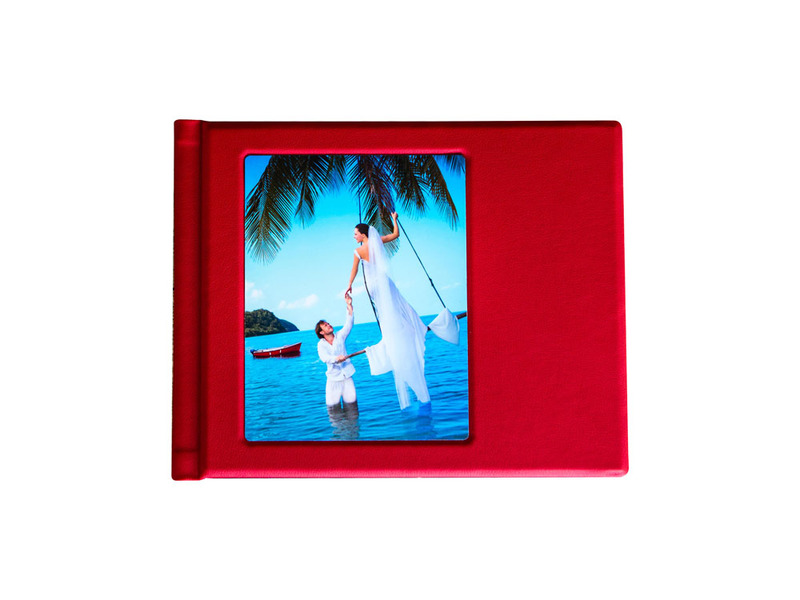 A sturdy and reinforced spine that won’t warp or bend helps preserve your album for years to come. 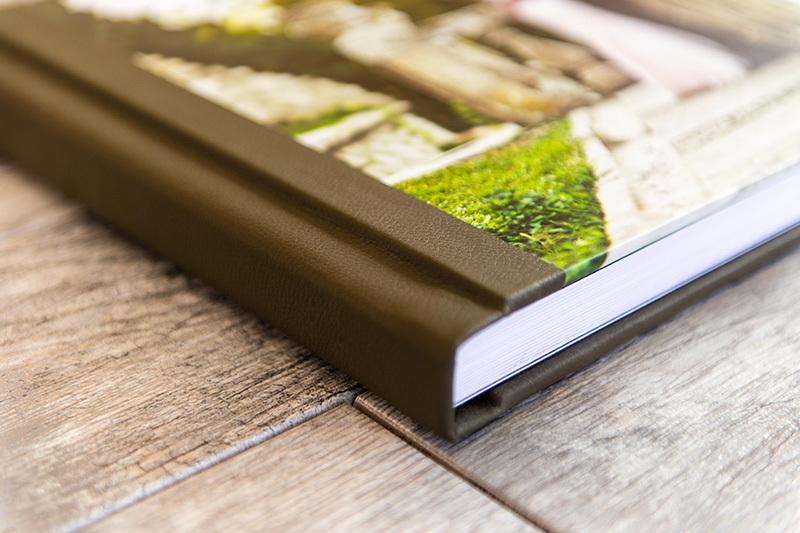 Our double-thick pages are dry-mounted and won’t tear or warp. 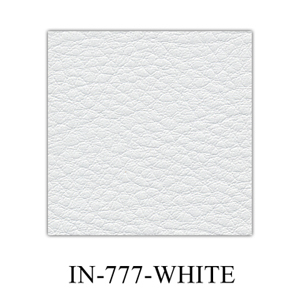 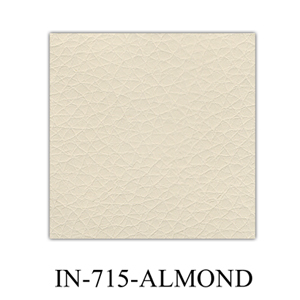 Crisp white corners add a clean and modern touch. 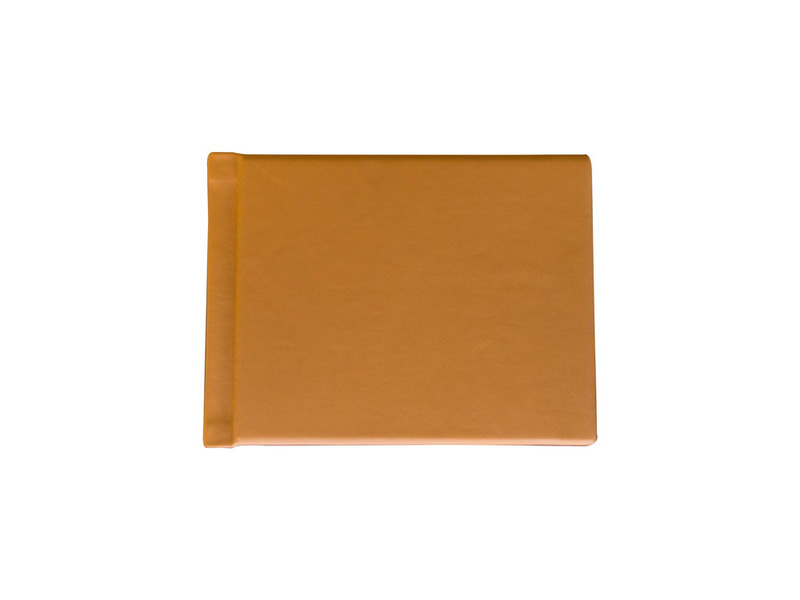 Present your album to your clients in our beautiful and modern leather wrapped gift box. 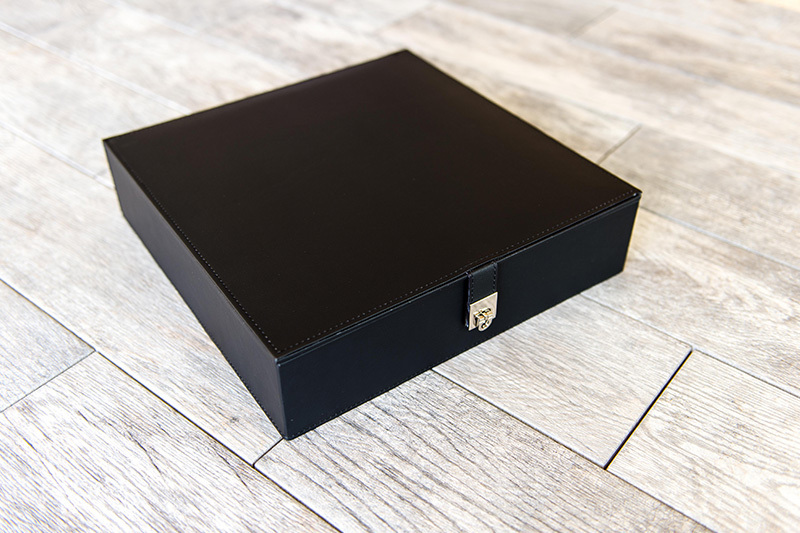 All of our albums ship with a leather gift box at no additional cost. 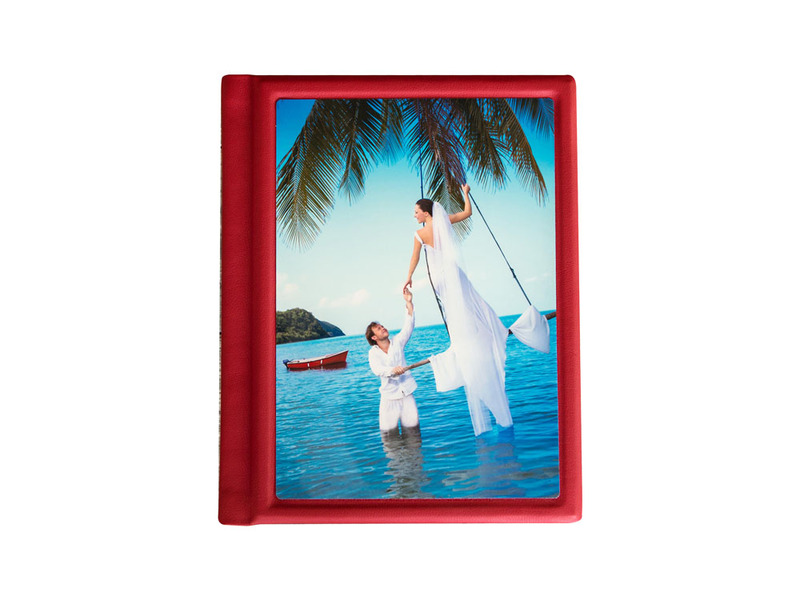 Looking to add a personalized touch to your client’s gift box? 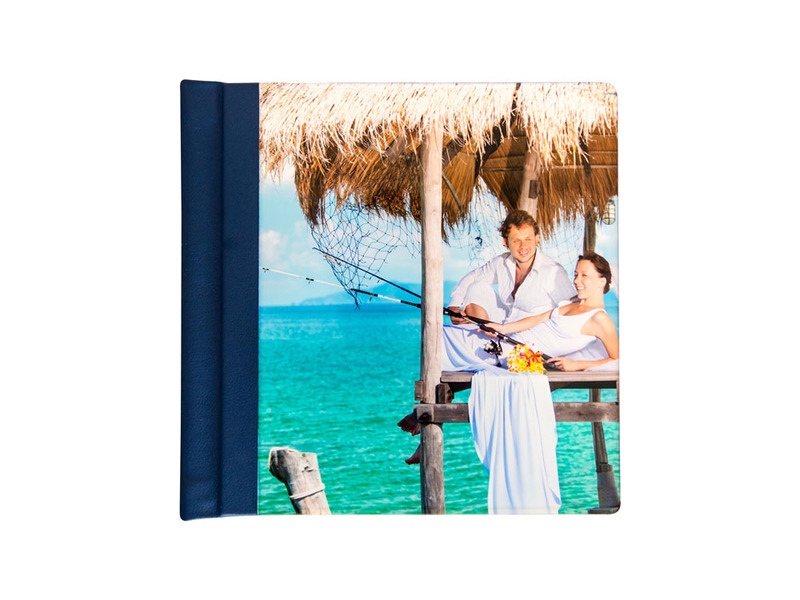 Our photo wrapped boxes feature a printed image that is textured and wrapped around the gift box. We offer several stamping options to give your album cover a personalized touch. 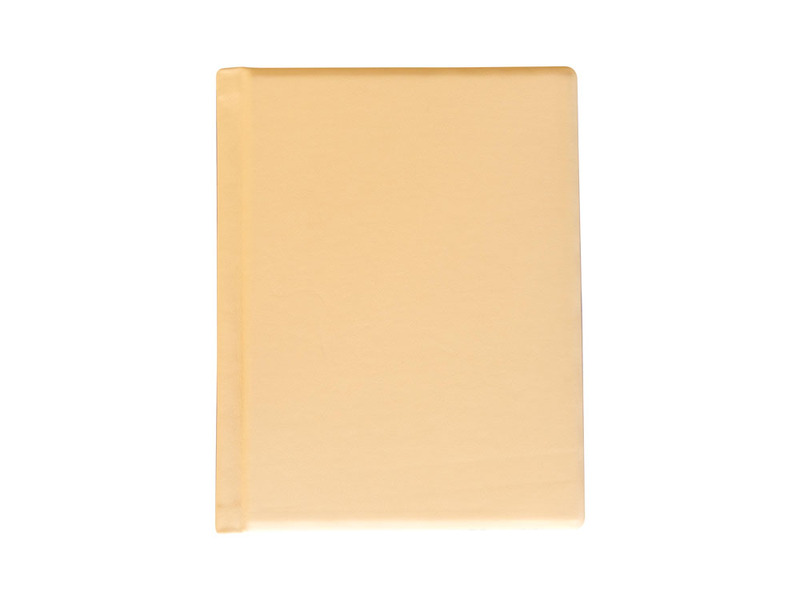 Choose from clear, silver, or gold stamping. 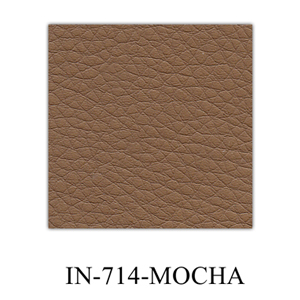 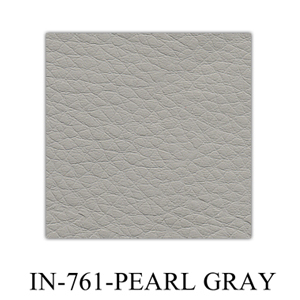 Cover stamping is available on leather albums. Roller applied embossed texture. 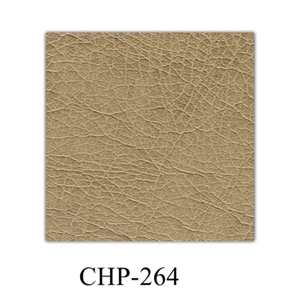 Adds a light texture to the print’s surface. 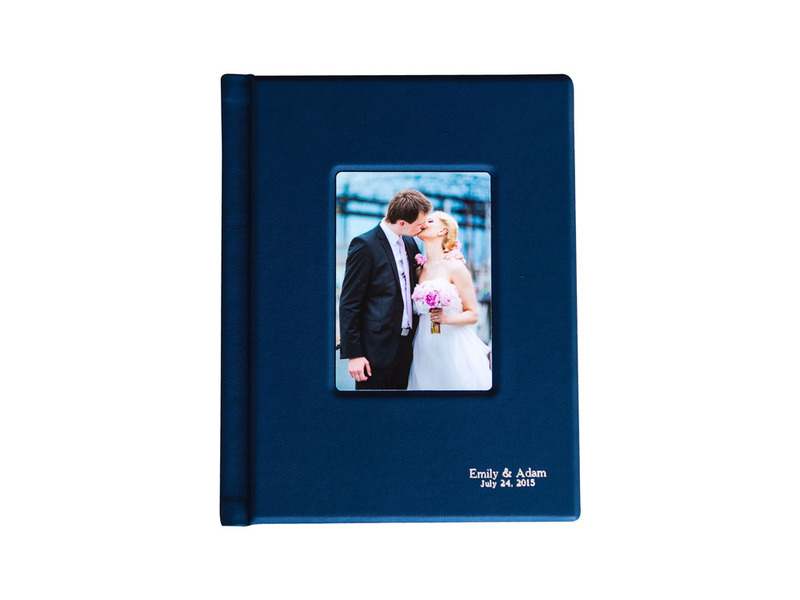 Parent albums are a great way for you to share your memorable occasions with friends and family. 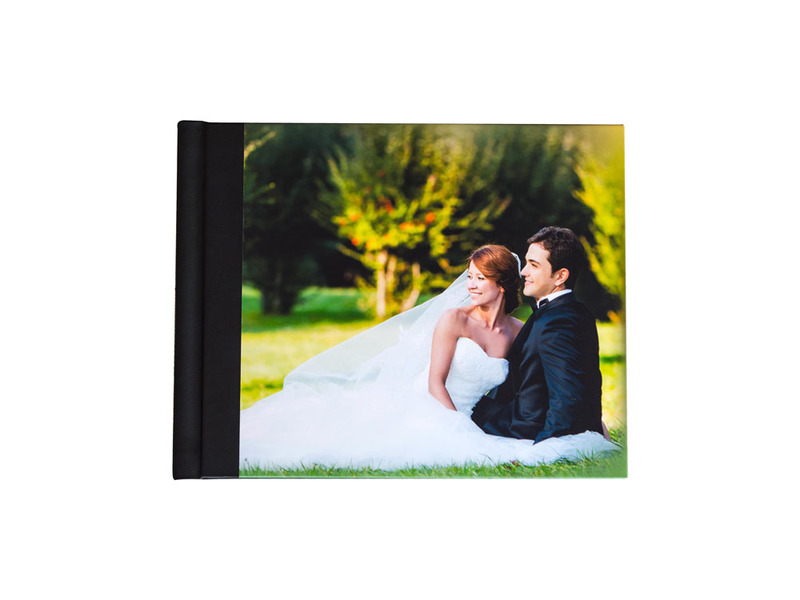 The same professional fit and finish as our full-size albums. 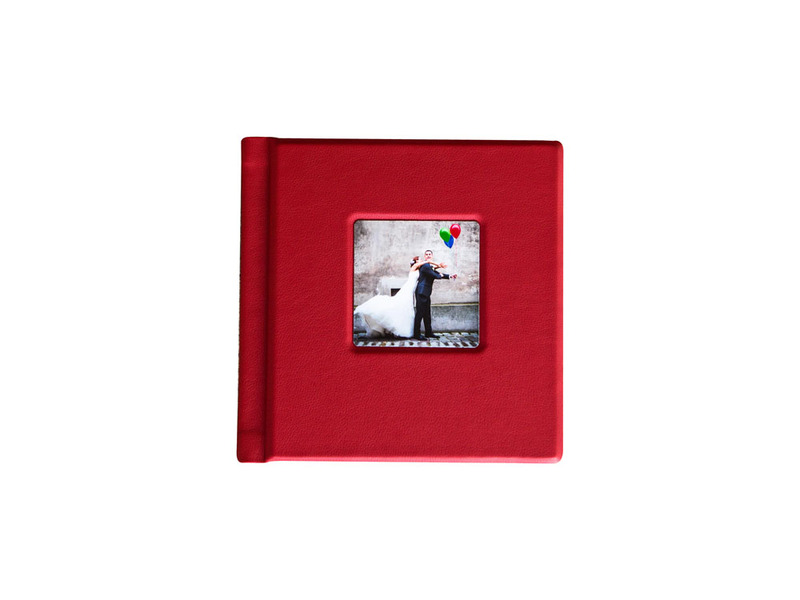 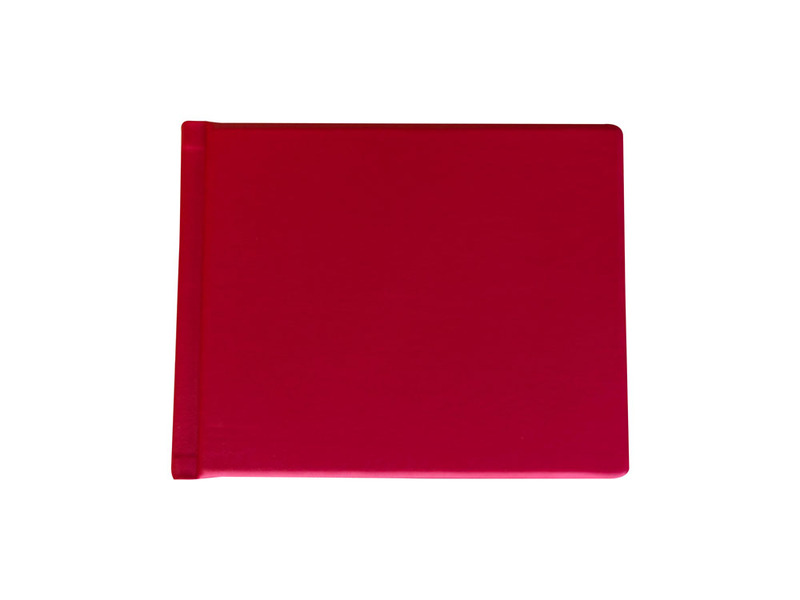 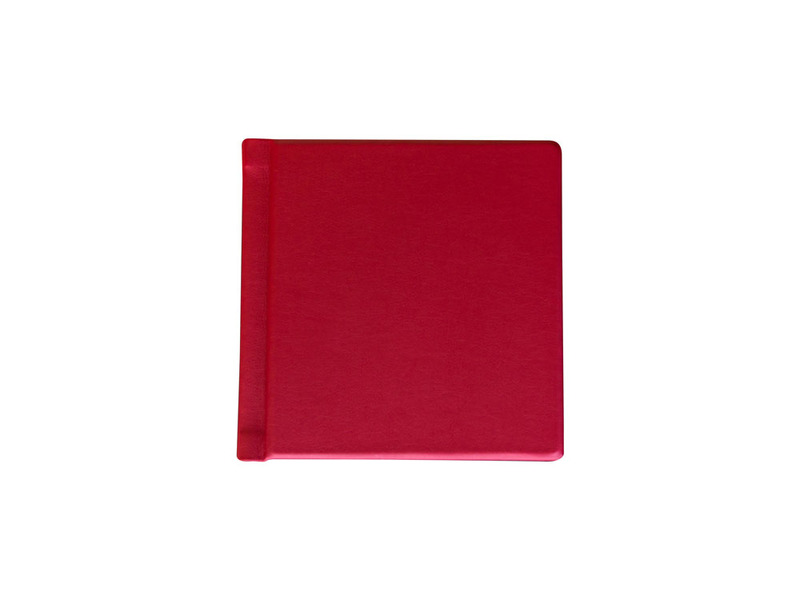 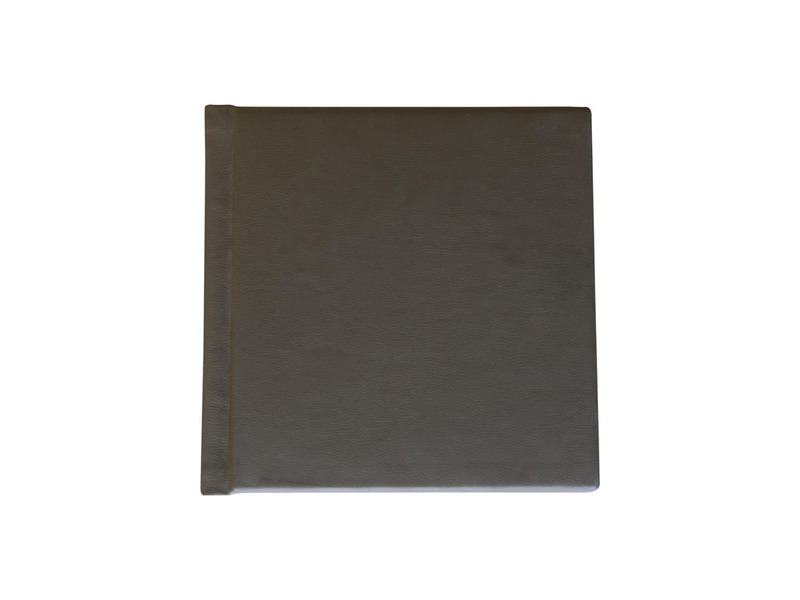 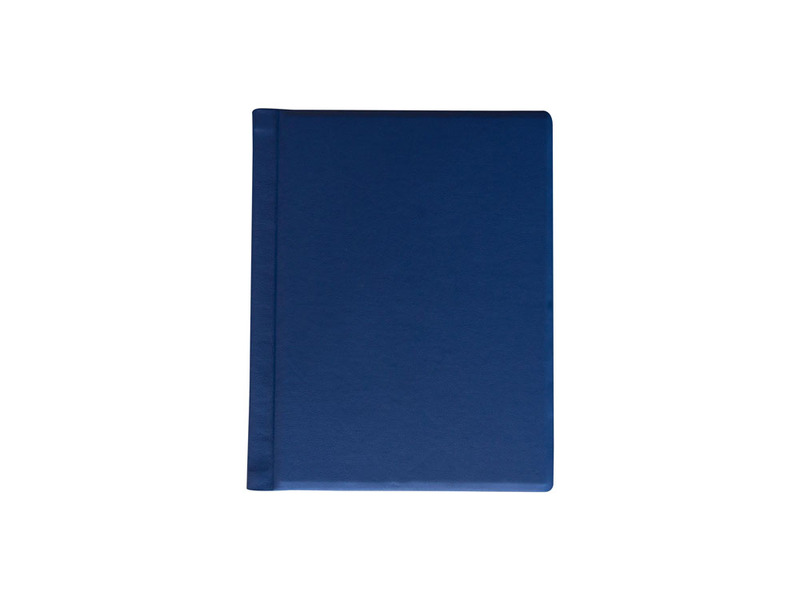 Parent albums are sold in pairs and are only available in a full leather cover. 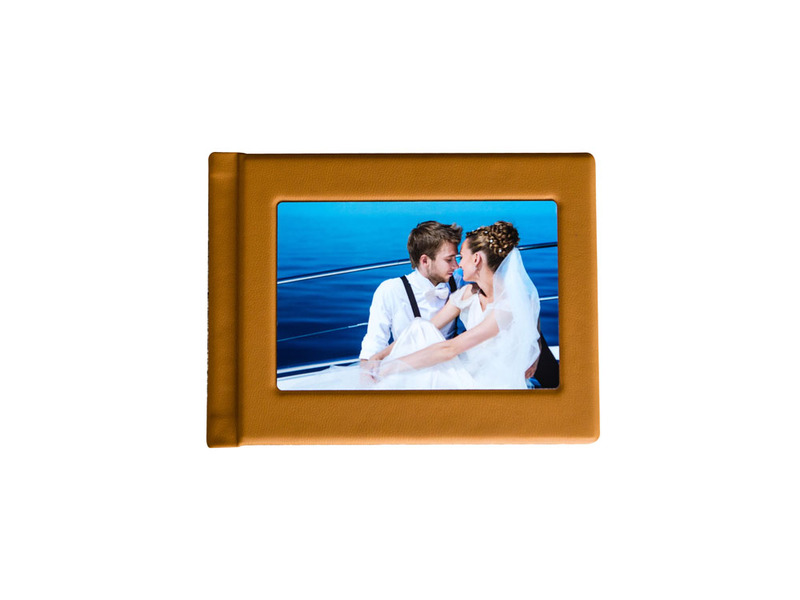 Cameo covers are available for an additional charge. Every parent album comes in a black gift box. 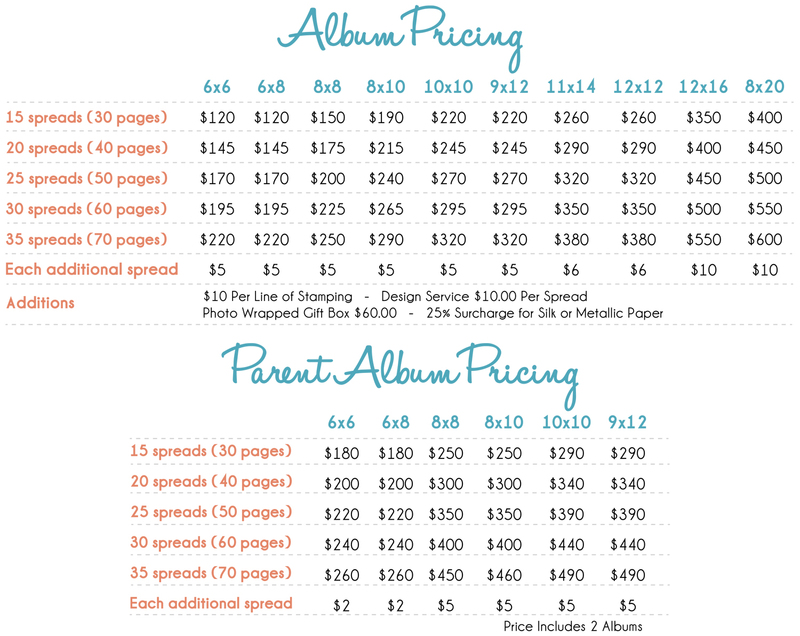 Don’t have time to design your album? 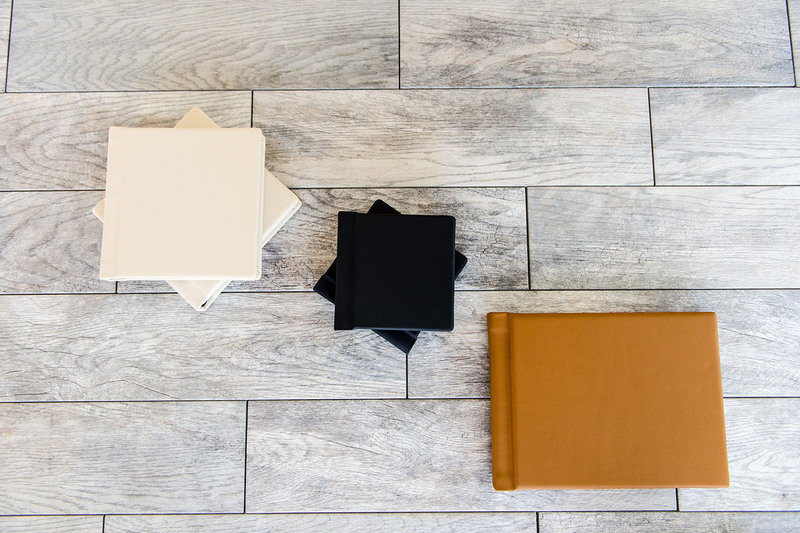 Let our design team do the work for you. 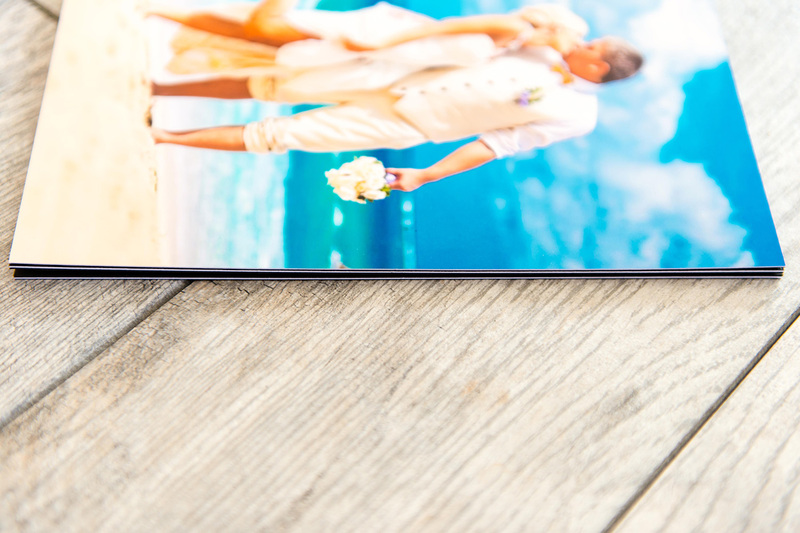 We offer a comprehensive range of digital imaging, retouching, and design services. 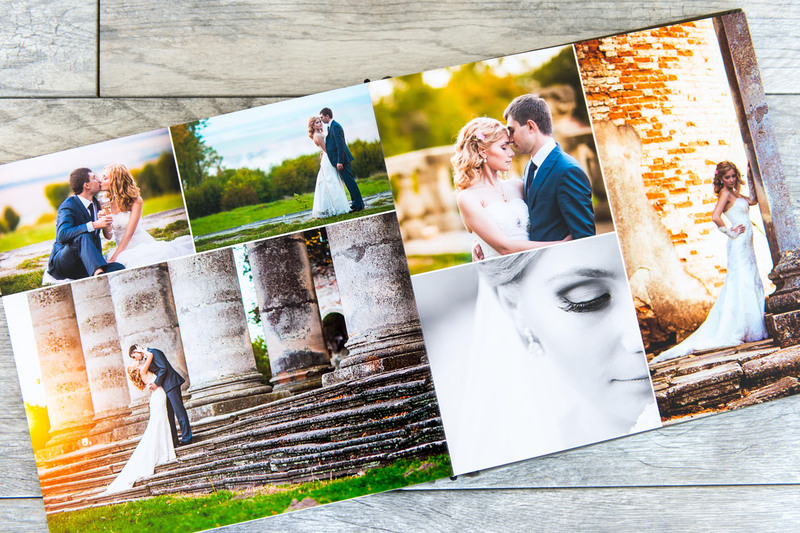 Send us your photos and our talented designers will work with you until you are 100% satisfied with your album design. 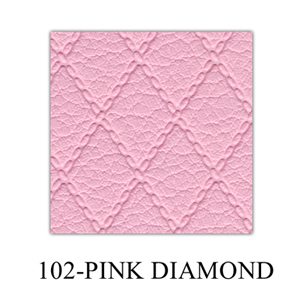 Take a look at some of our sample designs.